Tooth Decay begins when the protein of your saliva combines with the sugars and carbohydrates of food particles. Bacteria-laden plaque, which make acid from the sugar in saliva, eats away at the hard enamel shell around your tooth. Left unchecked, a hole will be created in the enamel and a cavity will rapidly form in the softer dentin which lies under the enamel. 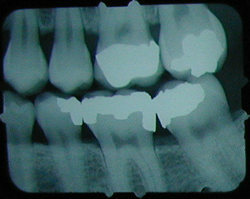 If the cavity is caught in time, usually a Filling will correct the problem. 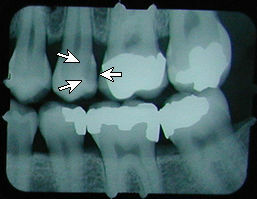 Larger cavities may require an Inlay or Onlay, or a Crown. However, if nothing is done and the decay spreads, the sensitive pulp (nerve) may become involved, often causing an Abscess, and Root Canal Therapy or Extraction may be required.